Welcome to The MapleMoney Show, the podcast that helps Canadians improve their personal finances to create lasting financial freedom. I’m your host, Tom Drake, the founder of MapleMoney, where I’ve been writing about all things related to personal finance since 2009. Want to teach your kids about money and personal finance? The best place to start is at home and start early. 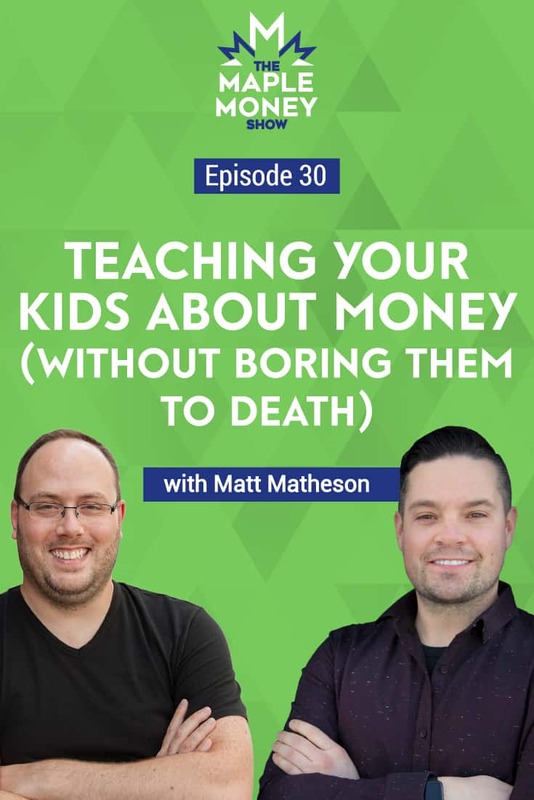 My guest this week is Matt Matheson, an assistant principal who runs the blog Method To Your Money. Drawing on his own experience, Matt shares why it’s important that parents find teachable moments for their children. By showing kids how to set goals, count and save their money, they set them up for a lifetime of financial success. Matt explains that as kids get older, it’s important to give them more decision making power. After all, it’s better that they learn from their mistakes when they’re young. Too often as parents, we do the opposite and bail out our teens at the first sign of trouble. Matt views this as a missed teaching opportunity. You can make your money make more money, with our sponsor Wealthsimple. They’ll build you a personalized portfolio using a Nobel-prize winning investment strategy. The best part? They’ll manage your first $10,000 for free. Head over to Wealthsimple today to find out more. How to teach young children about money using 3 jars. The importance of finding teachable moments for kids. The more free you are with your giving, the better your relationship with money. As your kids get older, allow them to have more decision making power. It’s ok to let your kids make money mistakes. The value of using a chore chart to teach your kids. The difference between spending with cash and credit.